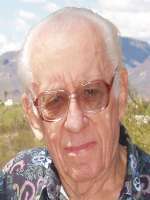 Vinzenz Sabo, 81, passed away July 15, 2010 in Payson, Arizona. He was born in Yugoslavia to Peter Sabo and Maria Beck Sabo. 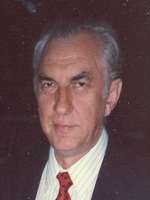 Vinzenz came to the US from Yugoslavia in 1957 with his family and they settled in Chicago, IL. 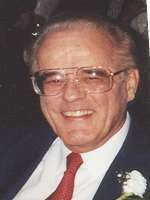 In 1978 he and his wife, Elizabeth and their children moved to Phoenix from Chicago, IL. 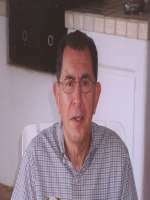 Vinzenz worked for and retired from Continental Bank. He was a member of St. Theresa Catholic Church, The Danube Schwabians and was an excellent wood carver. Vinzenz is survived by his loving wife, Elizabeth; daughters, Renate Ratschan and husband Josef; Heidi Gillis and husband Joseph and Theresa Rohter and husband Roy; six grandchildren and 17 great grandchildren. “He will be greatly missed by all who loved him.” A Memorial Mass will be held Wednesday, July 28, 2010 at 10:00 A.M. at St. Theresa Catholic Church, 5045 E Thomas Rd., Phoenix. Interment will follow at St. Francis Catholic Cemetery, 2033 N. 48th St., Phoenix. Donations may be made in Vinzenz’s memory to St. Theresa Catholic Church. peacefully with his family at his side on Sunday, July 25, 2010. Carl was born to August and Mary Maceyko on September 29, 1925 in Hazelton, PA, and resided in Phoenix since 1957. He was a wonderful husband, father, brother and gramps. He shared 56 loving and caring years with his wife, the late Geraldine Maceyko. Survived by his sister, Marion (Ken) Jugan; loving children Ron (Joan) Maceyko, Michelle Borkowski (Rudd Gruntler), Gary (Mary) Maceyko; grandchildren Eric (Jessica), Troy (Maria), Ryan, Amy, Erin (Efren), Chad (Ana), Kyle, Nathan, Katie, Andrew and Patrick; great-grandchild Ethan; former in-laws Janet Maceyko, Debra Webb, Mark Borkowski and many cousins, nieces and nephews. Retired after 25 years at Phoenix Elementary School District No. 1. Throughout Carl’s life, his wife, children, grandchildren and faith brought him the most joy and happiness. An exemplary, devout Catholic, he had special devotion to the Rosary. In his commitment to his faith he was an active parishioner at St. Thomas the Apostle Church. For over ten years he volunteered at St. Vincent de Paul Society and was a member of The Legion of Mary. Visitation will be held from 5:00-8:00pm, with a Rosary at 6:30pm, followed by sharing of memories, Thursday, July 29, at Whitney & Murphy Funeral Home, 4800 E. Indian School Road. Funeral Mass will be held at 3:00pm, Friday, July 30, at St. Agnes Catholic Church, 1954 N. 24th Street, Phoenix. Interment will be at 10:00am, Saturday, July 31, at St. Francis Catholic Cemetery, 2033 N. 48th Street, Phoenix. Contributions may be made to St. Vincent de Paul Society, P.O. Box 13600, Phoenix, AZ. 85002. 57, passed away July 18, 2010 after a long battle with melanoma. Her loved ones were at her bedside. Debbie was born July 27, 1952 in Phoenix at Good Samaritan Hospital. She graduated in 1970 from Washington High. She worked over 30 years as a medical office manager and administrator in the Phoenix area. She is survived by her mother, Louise Flayer; children, Jesse Arthur (Bacardi Relay), Adam Dujanovic and Danielle Dujanovic (Allan McBride); grandchildren, Max, Sophia, and Sage Arthur, and Makena McBride. She is preceded in death by her father, Ed Arthur, and husband, Ron Dujanovic. 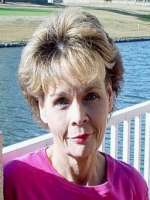 Services will be held at Whitney and Murphy Funeral Home, 4800 E. Indian School Rd., Phoenix, with a Gathering at 5:30pm followed by a Service at 7:00pm on July 27, 2010, her 58th birthday. In lieu of flowers, donations can be made to Hospice of Arizona, who provided Debbie with comfort in her last days, 1241 W. Warner Rd., Suite 110, Tempe, AZ 85284.
died suddenly on July 2, 2010, in Modesto, California. She was preceded in death by her parents, Donald L. Perkins and Doris Mae Patterson. She is survived by her life companion, Sidney Alfred Alexander; her two sisters, Bette Jeanne Perkins of Sacramento, California, and Terrie Lynn Perkins of Phoenix, Arizona; a niece, Jessica Ann O’Donel of Portland, Oregon; and cousins Joyce Ann Peck of Raleigh, North Carolina, Wesley Barker of Oklahoma City, Oklahoma, Randy Cowell of Jackson, Mississippi, and Al “Berry” West, of Tulsa, Oklahoma. Private Services were held with interment at Acacia Memorial Park, Modesto, California. In lieu of flowers, the family requests that donations be made in Jan’s name to Victory in Praise Church, 3124 McHenry Avenue, Modesto California, 95350-1472. Arrangements entrusted to Whitney & Murphy Funeral Home, Phoenix, AZ. 82 of Prescott, Arizona passed away on July 15, 2010. Helen was born in Corona, Long Island to Lazarus and Caliope Emmanuel, Greek immigrants who came to the United States in 1928. At the age of 14, Helen moved to Torrington, Connecticut, where she lived for 10 years and met her loving husband John Shugrue. They moved to Phoenix in October of 1952 where she worked for the Scottsdale School District in the Food Services department for 30 years. All who knew Helen would know food was her passion. 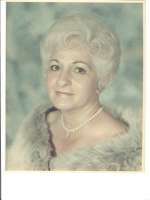 In 1983, she and John moved to Prescott where she lived until her passing. She is proceeded in death by her husband John and is survived by her four children and their spouses. Bob and wife Diana, Mark and wife Lisa, Nancy and husband Guy Mancuso, Tim and wife Jacque. She is also survived by her nine loving grandchildren and two great grandchildren. Helen was the most loving and giving mother a child could ever ask for and she will be missed forever. Mother dear, your porch light will always stay on for us. 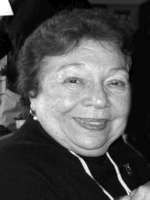 A Memorial Service to celebrate Helen’s life will be held in Prescott, Arizona on August 21st, 2010 at 12:00 noon at St. George Orthodox Church, 609 West Gurley, Prescott, AZ 86302, (928) 777-8750. In lieu of flowers, please send donations to Hospice of the Valley, http://www.hov.org/donations.aspx or you may mail a check to: Hospice of the Valley, 1510 E. Flower Street, Phoenix, AZ 85014.
of Phoenix, passed away unexpectedly July 17, 2010. Tom was born April 11, 1959 in Rochester, New York. Tom graduated from Central High School here in Phoenix in 1977. Tom was the proud owner of his own company “All Grout”. He is survived by his son Josh, the love of his life Tammy Dorhout and her son Trevor, brother Bill, sisters Maryann and Joyce (Joe) Hanss, seven nieces, one nephew, four great nephews and one great niece. Tom loved life and lived each day to the fullest. He loved cooking for his friends and family, deep sea fishing, traveling, and was passionate about fitness and nutrition. Tom will be missed by all his family and friends. He will be in our hearts forever. Visitation will take place from 1:00-4:00 pm, Sunday, July 25th at Whitney & Murphy Funeral Home, 4800 E. Indian School Rd. Funeral Service will be at 9:30 am, Monday, July 26th at Scottsdale Bible Church, 7601 East Shea Blvd., Scottsdale. Interment will follow at Resthaven Park Cemetary, 6290 W. Northern Avenue, Glendale. In honor of Tom’s mother, donations may be made to the Susan G. Komen Foundation. “Papasito” (Landscaper Contractor) passed away on Friday, July 16, 2010 at 9:16am. He was born on November 15, 1935. He was a wonderful, caring and giving person. Everyone that knew and worked for him loved him dearly for his generosity and kindness. He is survived by his beloved wife, Veronica “Mi Vida” and there children (Bebe) Bertha Maya, Maxine Vargas, Art Salcido Sr., and grandchildren; Anna Grado, Johnny Ulibarri, Kristine Warren, Art Salcido Jr., Johnny Udave, Gabriel Udave, Jimmy Udave and Valerie Salcido. Great grandchildren; Amanda Grado, Alex Grado, Isaiah Grado, Zachary Grado, Miranda Udave, Kalvin Parr, Asenath and Amaris Salcido and Noah Udave. Proceeded in death by his daughter, Patricia Ann Salcido. Visitation from 5:00 – 8:00 P.M. on Wednesday, July 21st with a Rosary at 7:00 P.M. at Whitney & Murphy Funeral Home. Funeral Services will be held at Whitney & Murphy Funeral, 4800 E. Indian School Road, Phoenix, on Thursday, July 22nd at 10:00 A.M. Following “Papasito” will be laid to rest at St. Francis Catholic Cemetery 2033 N. 48th Street, Phoenix.